Not only will we make sure that your new home lighting in Tampa, FL is properly installed, but we will also make sure that you are pleased with the way it looks. At 5 Star Electrical LLC, we specialize in home lighting and can help you with any practical or aesthetic lighting projects for your home. 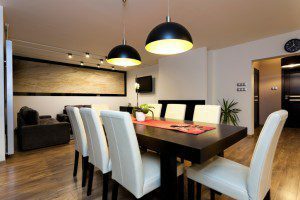 Although lighting is a key part of interior design and is needed throughout a home for functional purposes, it can account for a significant portion of your home’s total energy consumption. For this reason, it is essential that your new home lighting is installed properly. Whether you want to install new accent lights in your kitchen or would like to have new task lighting put in your home office, we are here to help you with every aspect of the process. Our electrical technicians are known throughout the Tampa, Florida area for being professional, friendly, and extremely capable. Not only will we make sure that your new home lighting is properly installed, but we will also make sure that you are pleased with the way it looks. When it comes to home lighting, there’s almost no limit to what we can do. Our founder, Shawn Formont, has over 14 years of experience working as an electrical contractor. Thanks to this experience, Shawn and his team know how to complete lighting jobs successfully, and they also know what details deserve their attention during the installation process. If you have any questions about our home lighting services or are interested in installing new lighting in your home, please don’t hesitate to reach out to us at 5 Star Electrical LLC. We look forward to meeting all of your electrical installation needs now and in the future.